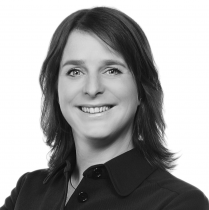 Janneke is Chief Innovation Officer and co-founder of Improve Digital. She is the driving force behind the company’s 360 Platform for real-time advertising. She is co-initiator of the Inspiring fifty, mentor at Startup Bootcamp and Board Member at IAB Europe. She is an angel investor, board member and regularly speaks at events about digital media and entrepreneurship. She started her career 15 years ago as online media director at the first Dutch online media agency. Janneke went on to co-found DQ&A – an ad operations company with worldwide offices. She is also author of, and contributor to books about online media and has lectured on the subject at Amsterdam and Leuven universities and has been chairman of the taskforce automated trading of IAB. Both Janneke and Improve Digital have won and have been nominated for several awards including Deloitte Fast 50, EY Entrepreneur of the Year, Deloitte Rising Star, Red Herring 100, Leading Online Entrepreneur of the Year, Online Media Women of the Year, Emerce European Startup top 10, The Next Women Top 100 most influential business women.